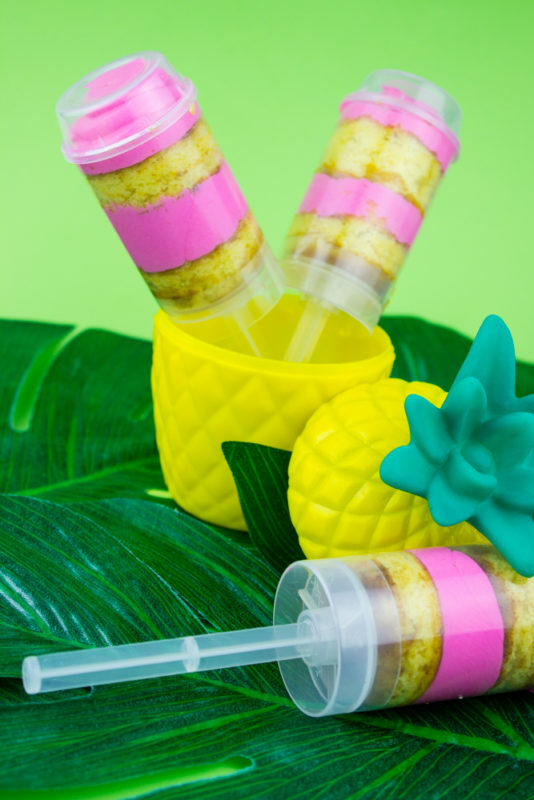 Kick off your summer luau by making these fun boozy tropical cake push pops! 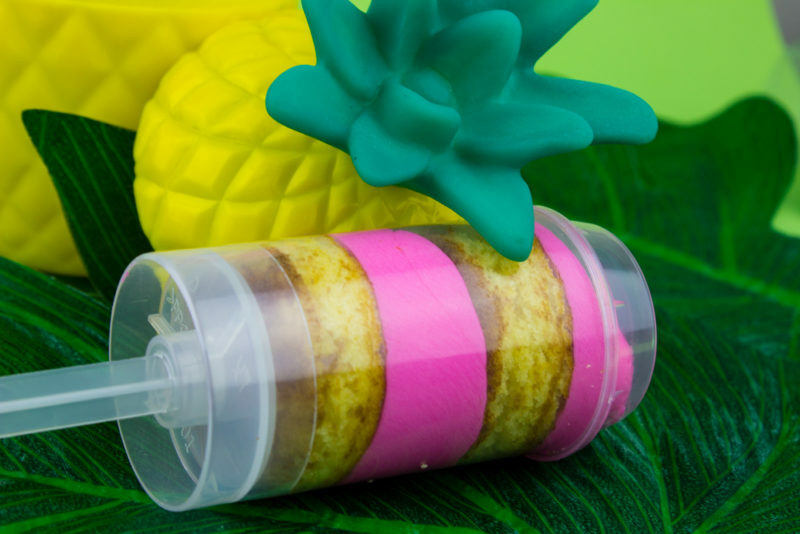 A sweet addition to your flamingo, pineapple, hawaiian party! This post may contain affiliate links. That means that we make a few pennies off each purchase but the price stays the same for you! 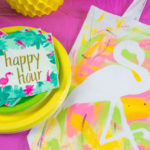 Summer is in the air and that brings about two of my favorite things… flamingos and pineapples. 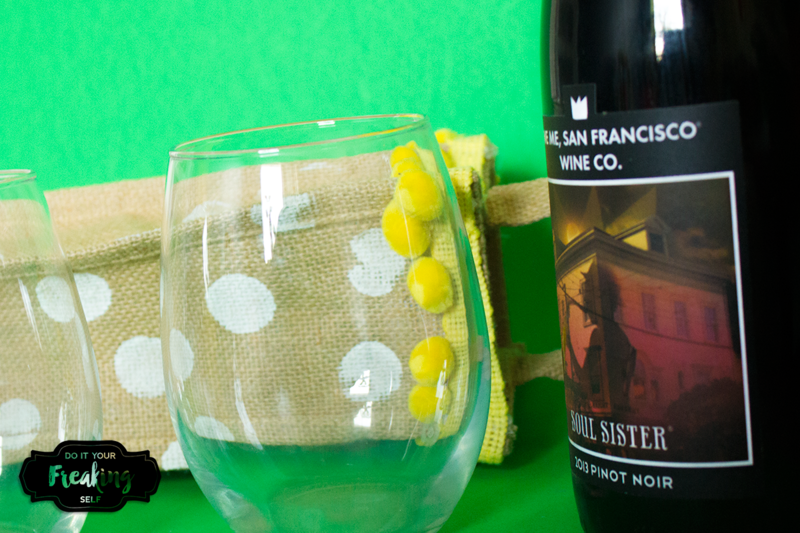 Put them together and you’ve got one classy luau or some mayhem. Either way it’s gonna be colorful and pretty. 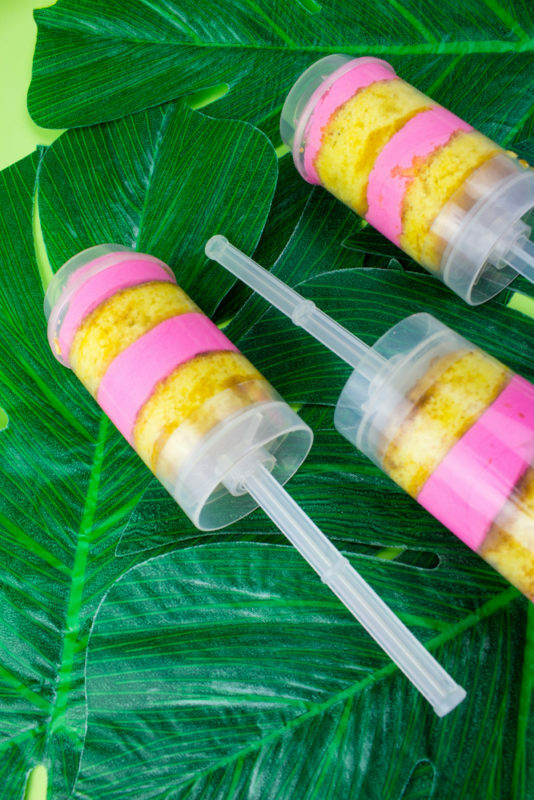 These boozy tropical cake push pops (or tube cakes) use a basic cake mix, crushed pineapple, watermelon vodka and buttercream icing to give you a flavor mix that will transport you back to the island (but not like LOST okay?). 1. Make the cake: Line a jelly roll pan with parchment paper. Make the cake mix and bake according to directions on the box or until you put a toothpick in the center and it comes out clean. Take the cake out and let it cool. 2. 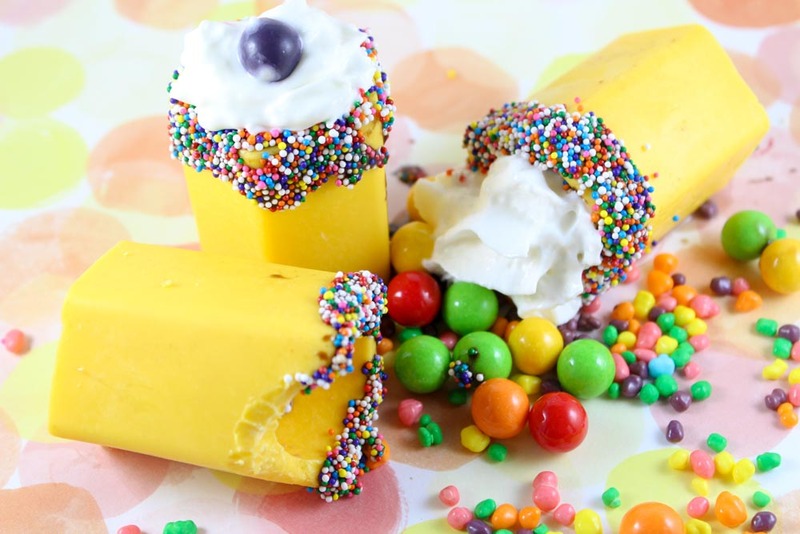 Mix the buttercream. Cream the butter and shortening together. Add the vodka. 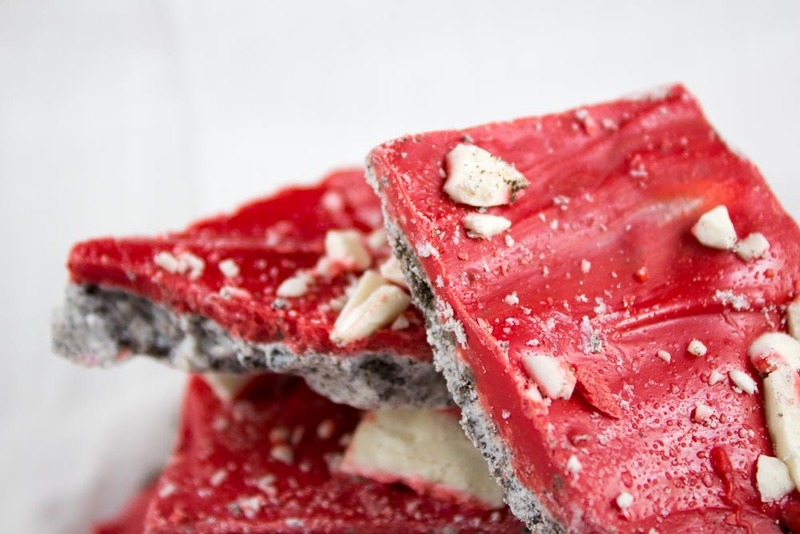 Once everything is mixed, slowly add the powdered sugar until you get to the desired consistency. Spoon into a piping bag. 3. 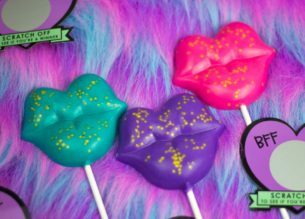 Assemble the cake pops: With the plunger in the bottom of the treat pop container, use the rim as a cutter and push the end cake to the bottom of the container. Quick tip: use a second plunger to push the cake down into the tube. Pipe the icing in a thick layer on top of the cake, then layer again with cake. Add a final layer of buttercream to the top and garnish with sprinkles if you like and place the lid on top. 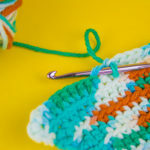 If you’re planning a summer luau or brunch for you lady friends or if you just like to play on pinterest all day, don’t forget to PIN for later!